This map visualizes all 5-digit postal codes in the United States. 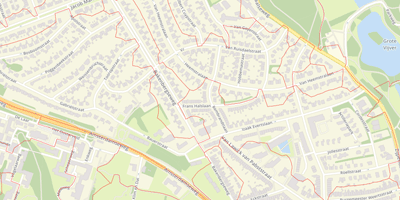 The data in this dataset contains all the geographical data that is used to draw the postal code boundaries on a digital map. Spotzi developed and updated this data. The boundaries in this set were last updated in 2019. 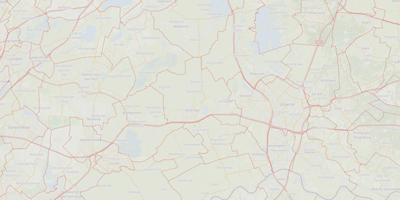 The dataset contains 31.282 postal code areas (status: january 2019). 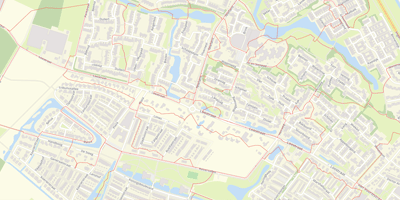 Which features contains this postal code dataset? 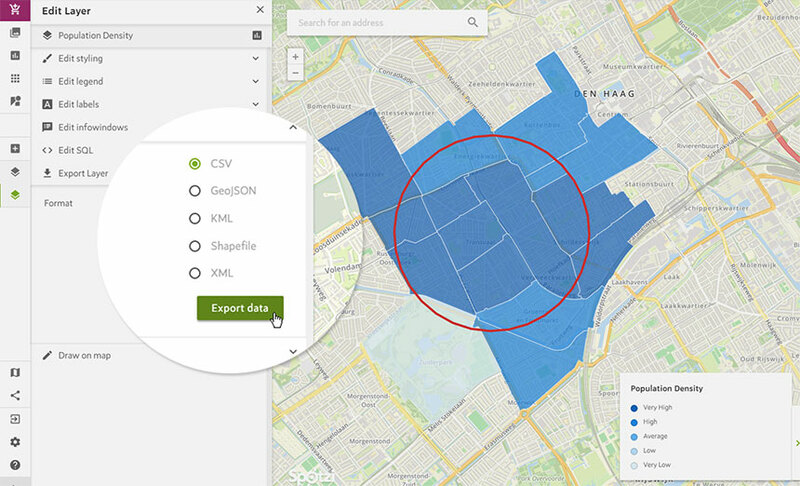 Many of our clients import this data into the Spotzi Mapbuilder to perform location analytics and find answers to the most challenging business issues. Our online tool offers you the possibility to directly import our geographical data, create insightful maps and perform location intelligence. When you order this dataset with our Mapbuilder package you will receive the following benefits. Join your own data to postal code areas on the map. 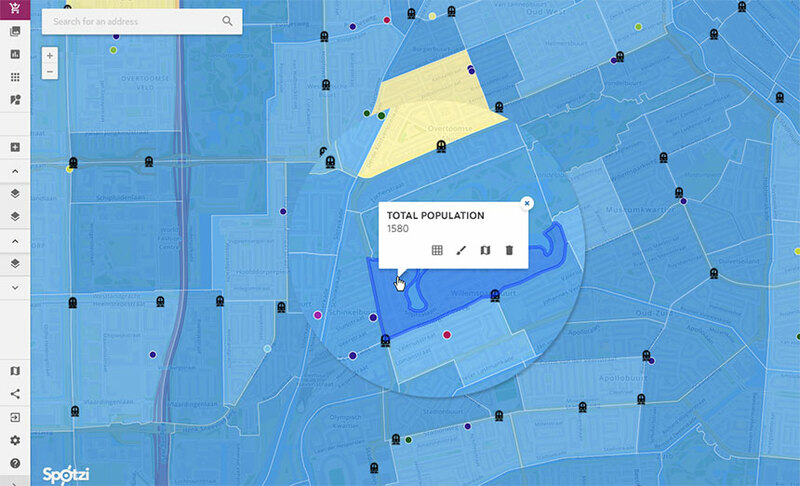 Calculate the population density/households per postal code. 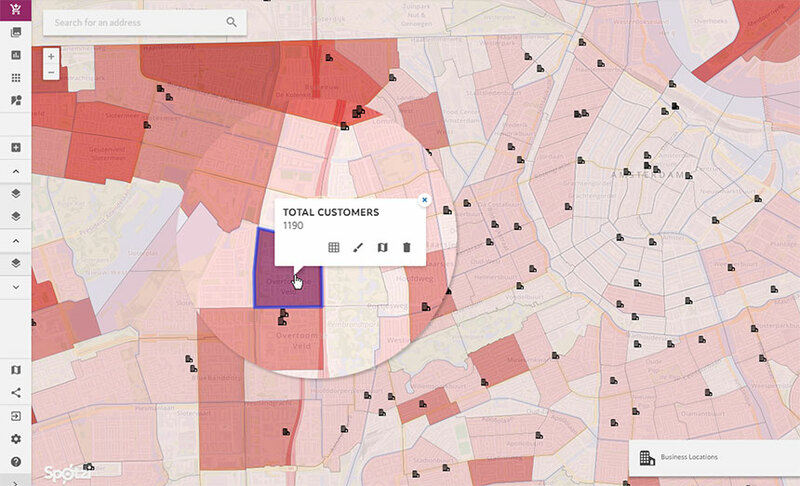 Visualize the number of business per postal code area. Upload a list with business locations and visualize every location on the map. Filtering postal code areas within a certain radius from your location. Exporting data based on these filters. Are you looking for a ready-to-use solution where all data and tools are included? Use our Territory-package. This package contains all boundary datasets of the United States. In addition, this package also contains a wide range of tools to perform the best location analytics like the Join App. 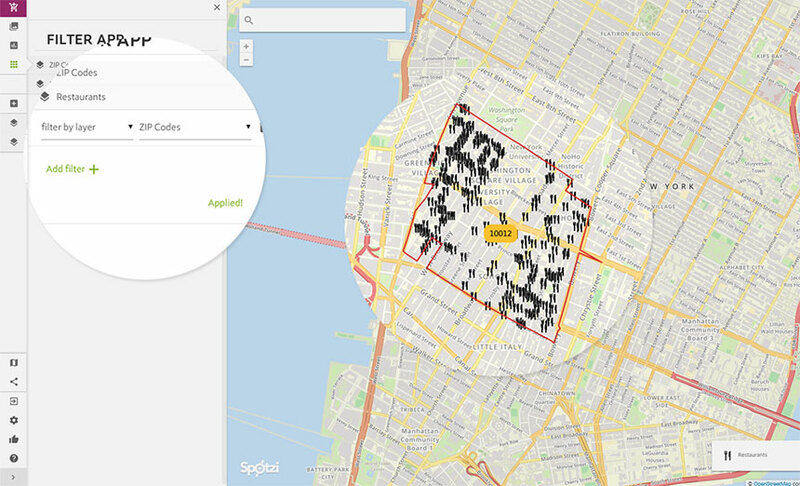 This functionality offers you the possiblity to quickly connect your data to areas on the map. 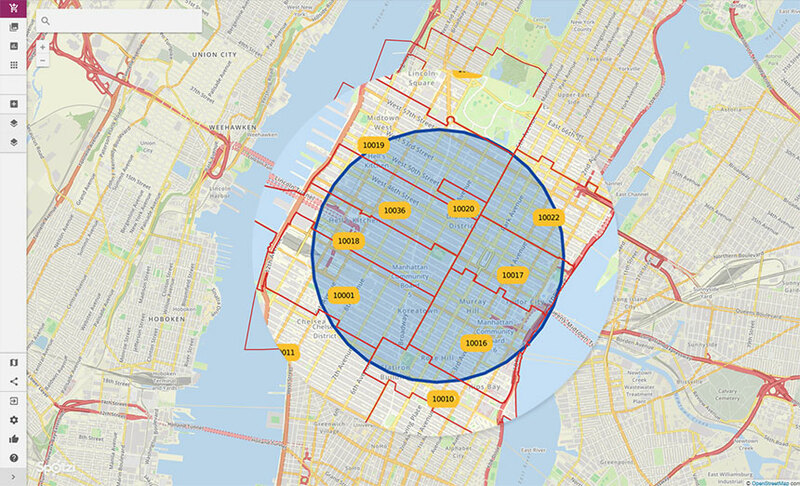 With this package you have a solution to immediately start your location analytics. Take a look at our package pricing. Order this dataset separately or as a postal code list for Excel? 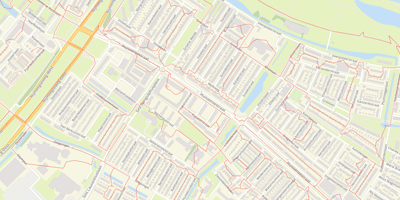 Can I export the postal code boundaries as a geographical or Excel file? In the Mapbuilder you can always notify us if you want to end your subscription. The data will always be available as a download in your Mapbuilder account, however you will not receive any more data updates and the premium functionalities will be disabled. Yes! 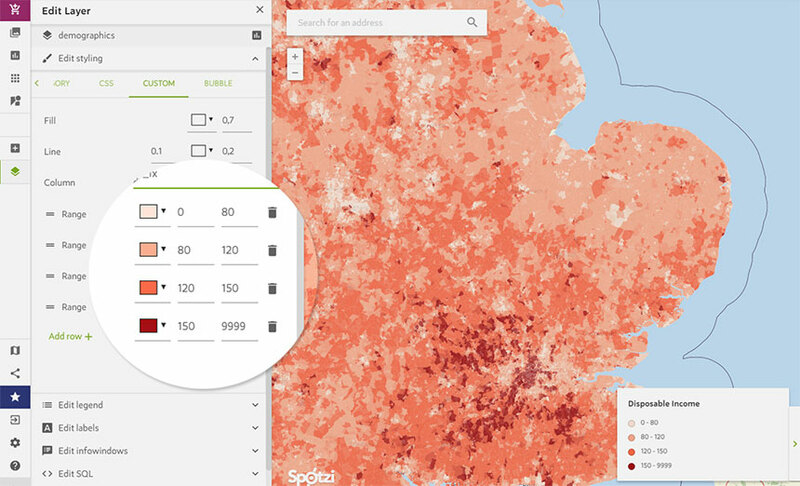 When you purchased one of our postal code datasets with a yearly subscription to Spotzi Premium, you have access to the functionalities to the Spotzi Webservice.